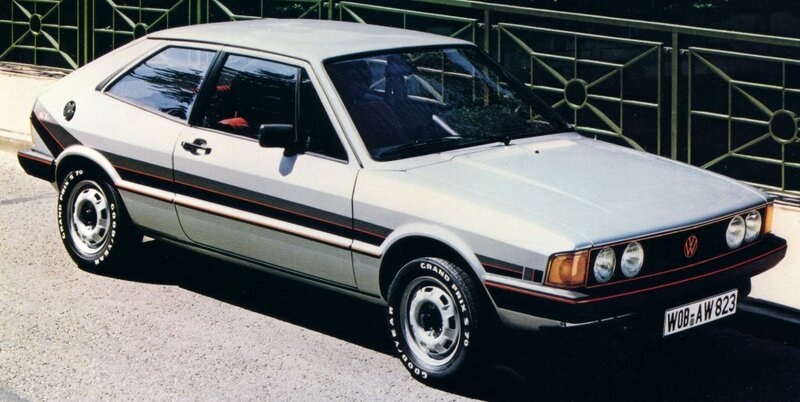 The Scirocco SL of 1981 was a special edition run-out model of the Mk1 Scirocco. It was offered in 1.3 litre 60 bhp or 1.6 litre 85 bhp versions. Only Diamond silver and Alpine white paint finishes were offered. In Belgium there was an option of a 1.6 litre injection engine, that model being the SLI. The SL had full length body striping along with a red trimmed grill, VW roundel and tailgate badges. Another period touch were the Good Year Grand Prix S tyres that had the lettering highlighted in white. Special ‘SL’ logos in an extended serif font were located on the rear quarter panel stripes and below the tailgate lock. The SL was another special edition Scirocco that was not available here in the UK. 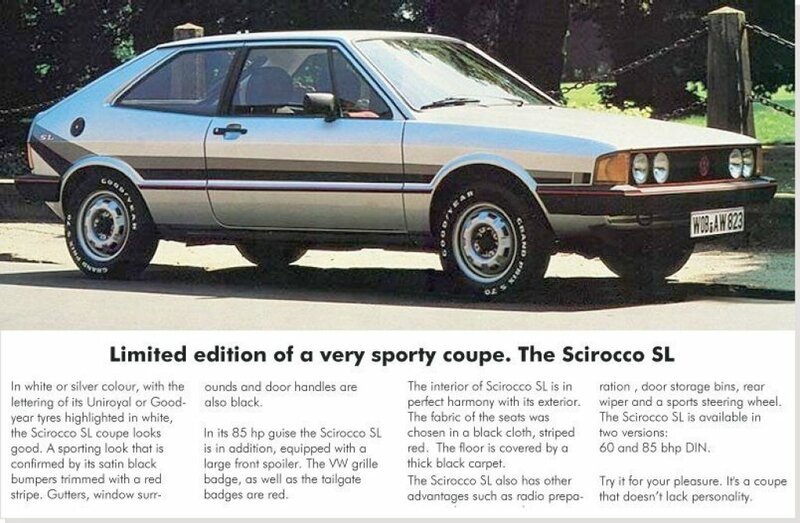 The above image is a translated version of a French Scirocco SL brochure. This view shows the red tailgate badges and bumper insert. Note also the SL logo. The VW roundel and outline of the grill get the red treatment as standard. 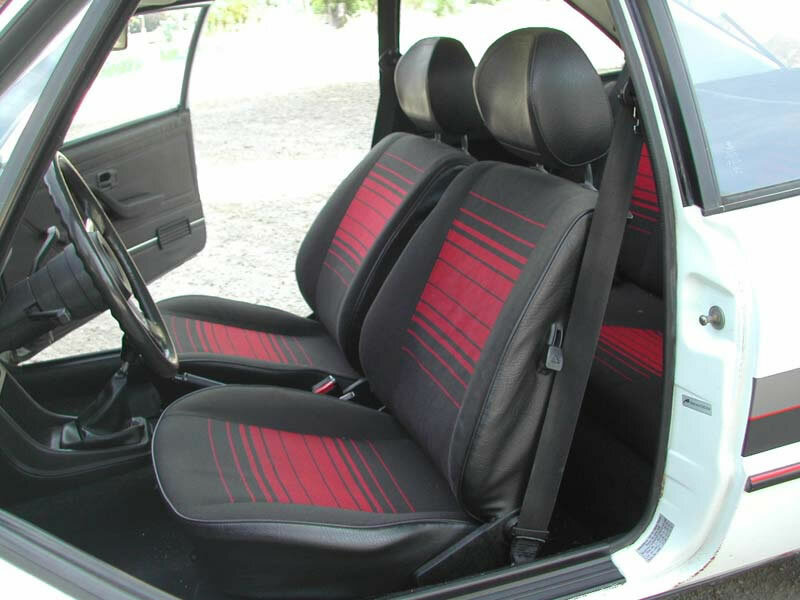 The black/red seat trim (code WA) was also used on the Polo GT of the same era. 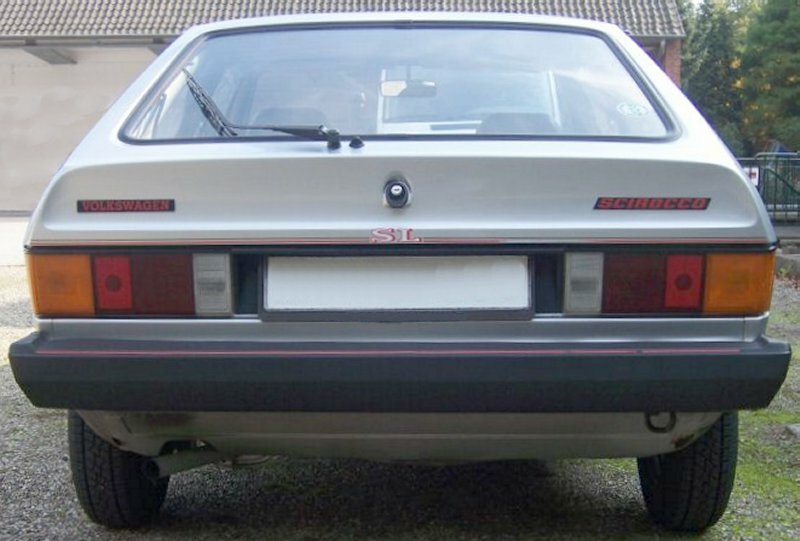 The SL also had the same door bins as the UK Mk1 Scirocco Storm. 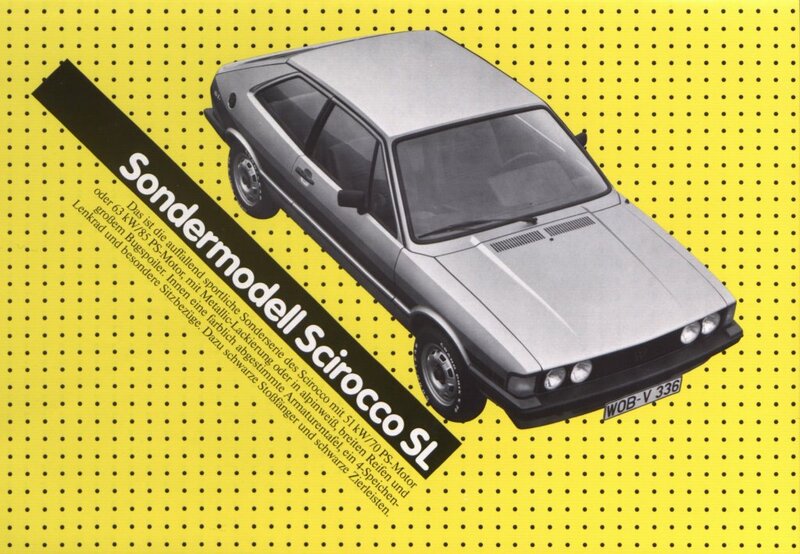 Click this thumbnails for a French Scirocco SL magazine advert and a Belgian SL/SLI flyer.